A Myrtle Beach vacation is always a fun time. A Myrtle Beach vacation staying oceanfront is even better. 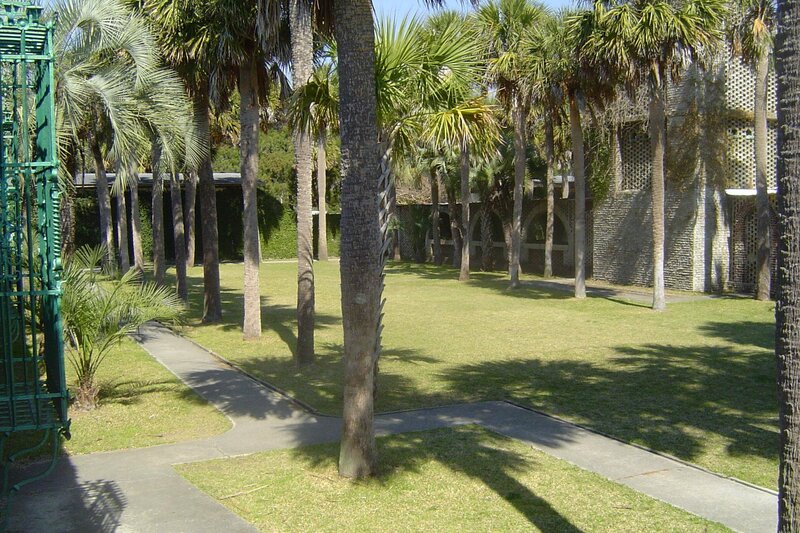 But for your next Grand Strand trip, upgrade it even further and enjoy a stay at the fantastic Atlantica Resort! Not only will you enjoy first-rate mode accommodations located right on the shores of the Atlantic Ocean, but you'll be treated to location right in the heart of Myrtle Beach and all the fun the Grand Strand has to offer. Atlantica Resort has delighted Myrtle Beach travelers for years, with clean and mode oceanfront condos located within the two towers that make up the resort. All of the condos of Atlantica Resort are direct oceanfront and every unit showcases a premium view of the sparkling Atlantic Ocean. The range of unit types at Atlantica Resort make it the ideal Myrtle Beach vacation destination for couples or families. Couples or small families are easily accommodated within the one bedroom standard rooms in the North Tower or the one bedroom condos in the South Tower. Both of the one bedroom condo types of Atlantica Resort feature a great selection of mode amenities like full kitchens, flatscreen TVs and complimentary WiFi. Additionally, the one bedroom condos of the South Tower feature washers and dryers for added convenience. 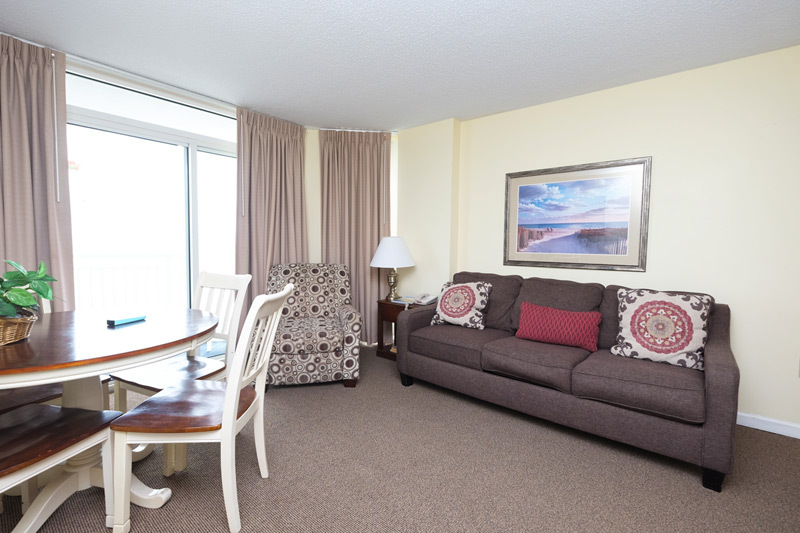 Larger groups of up to six guests are sure to love the two bedroom layouts offered by Atlantica Resort. 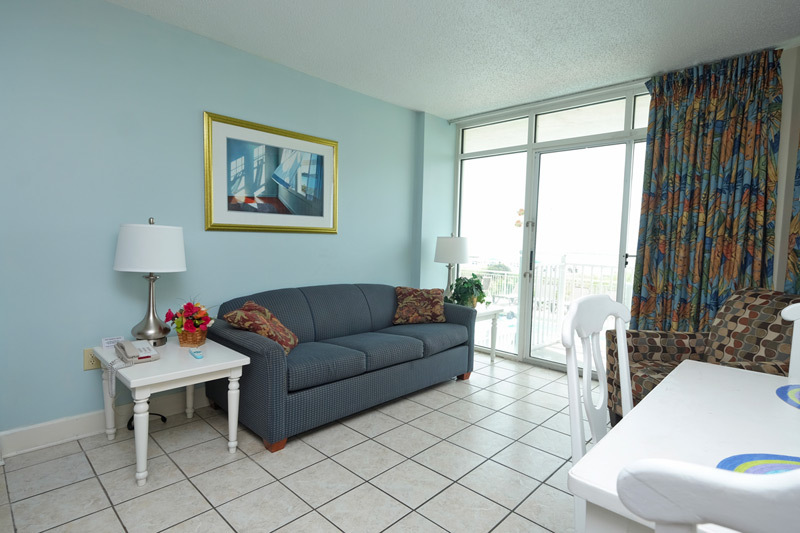 In the North Tower two bedroom oceanfront condos are available with king or queen beds in the master bedroom, varied bedding in the guest bedroom and sleeper sofas in the living areas. Over in the South Tower guests can book their two bedroom deluxe condos that are available with king or queen beds in the master bedrooms. 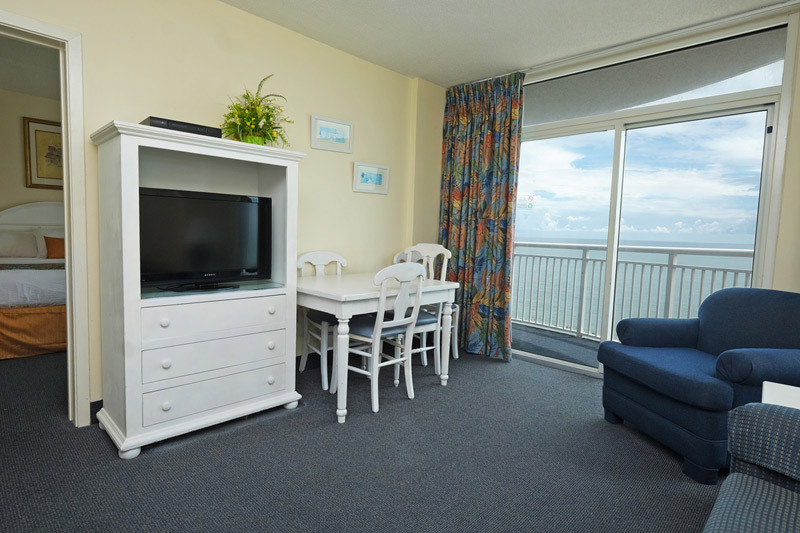 These larger condos also all feature full kitchens, complimentary WiFi, flatscreen TVs and washers and dryers, providing every convenience of home during your trip to Myrtle Beach. Beyond the great oceanfront condos, Atlantica Resort provides superb amenities for your enjoyment during your Myrtle Beach vacation. The North Tower offers a large oceanfront outdoor pool and sun deck, perfect for a relaxing dip or an afteoon of soaking up the rays. Meanwhile, the South Tower features an indoor climate-controlled pool, indoor and outdoor Jacuzzis, children's pool and outdoor lazy river. No matter which tower your condo is located in, guests receive access to all the amenities in both towers. On top of all this, your stay at Atlantica Resort puts you right in the heart of Myrtle Beach, only a few blocks north of the famous Myrtle Beach Boardwalk! All it takes is a short walk to enjoy all the fun of the boardwalk including the Myrtle Beach Skywheel, Ripley's Believe It Or Not, arcades, shops and much more. If you're looking to experience the most fun you can possibly have on a vacation to Myrtle Beach, you can't do better than making Atlantica Resort your home away from home! Even better, Beach Vacations is still offering our Countdown to Summer sale with select summer dates available to book for up to 40% off! These dates are sure to sell out fast, so don't miss out on amazing Grand Strand accommodations and book Atlantica Resort for your summer vacation to Myrtle Beach!